I remember….waiting and waiting and waiting and waiting to hear where I had been placed with Zimbabwe Careers Connect. They assured me that they were doing their very best to secure a good internship for me, but that didn’t help ease the anxiety. I wanted to know where I would work. Eventually they told I had been placed with AngloAmerican. I was very excited when I heard, because I understood the value of working for a multinational company. This would be an experience that would surely stand out on my resume. I would later come to realize how life-changing this internship would be. AngloAmerican is one of the world’s largest mining companies that has been around for over 100 years. In Zimbabwe, their main focus is platinum which is mined at Unki Mine in Shurugwi. When I got to the company, it immediately felt like home; my colleagues were very inclusive. They joked with me, drove me home and most importantly made me feel like I really belonged there. I had the opportunity to visit the mine in my second week of the internship. Before being allowed to visit different departments at the mine, I had to undergo *Medicals” then went through an induction of the different departments on the site. This process took longer than it should have and I found it annoying because of the limited communication about the expectations of the induction. Realizing I was not alone, a lot of other employees were frustrated, I soon remembered my conversation with my mentor, Mrs Chitengu, the Finance Director of AngloAmerican. She had insisted that I find small ways to add value to the organization. At the time, I thought this was a nice thing for her to say, but I wondered how a young intern like me could make any meaningful difference to such a large and well established organization. I decided to channel my frustration into brainstorming possible solutions that would make this process easier for future new employees. I designed a Welcome Package, which gave a breakdown of the Medicals and Induction process. The HR manager liked it and immediately implemented it. I learnt that if you set your mind to looking for opportunities and solutions you will find them; if you don’t, you simply won’t. Every Friday we would meet together at Education Matters with the other 24 ZCC interns. I really looked forward to these Fridays because on returning home I realized my friendships with some of my local friends just were just not the same anymore. But these fellow interns were going through the same returned cultural process I was, so they knew how I felt. I quickly bonded with a few of them, even with the ZCC staff, because I felt understood. The speakers who came in to speak to us on Fridays were phenomenal. They were leaders in their fields and made the prospect of moving back home less daunting. They gave such relevant advice from how to build networks to how to set yourself up for success as a woman in a male-dominated environment to the technicalities of starting your own business in Zimbabwe. Representing my university at the college fairs was one of my favorite experiences because I got to meet a lot of excited and brilliant young minds who were eager to learn what studying overseas was like. It was humbling to be reminded of being on the other side a few years ago, but it also made me more mindful of the information I was sharing. I told them about the classes and the people and the opportunities to get involved, shared my own experiences and encouraged them to reach out. It really felt like I was making a meaningful contribution to my community. These moments I have chosen can never even begin to accurately describe the growth and transformation that took place in my life because of this two month ZCC internship. The short accomplishment statements on my resume won’t do justice either. The journal I kept which describes more on this precious time will probably come close, but ultimately the ZCC experience is something one must just experience for themselves and write their own story. Sharon Shamuyarira, a ZCC 2017 intern at AngloAmerican, is studying Accounting at the University of British Columbia on a MasterCard Foundation Scholarship. 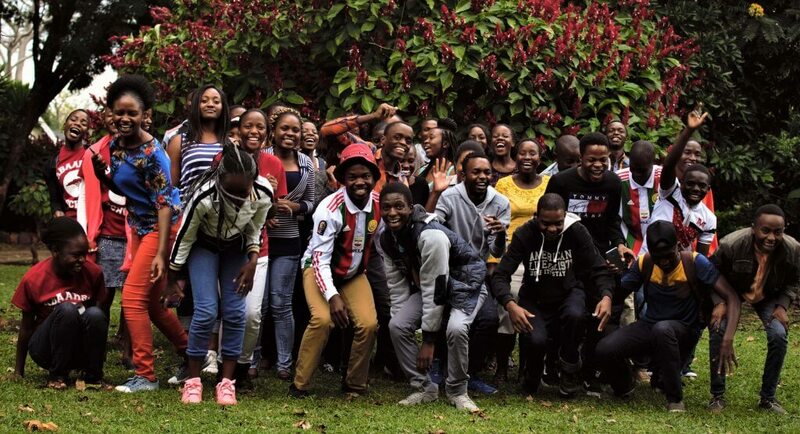 Zimbabwe Career Connect 2019 Application is Open!